The avifauna comprises more than 200 species, including a host of migratory birds. One can see white necked stork, bareheaded goose, honey Buuzzard, King vulture, Blossom headed Parakeet, Paradise flycatcher, Slaty headed Scimitar babbler to name a few. Tiger (Panthera tigris tigris), the king of the jungle, roams freely in this secure, though a bit small habitat along with his fellow beings - leopard (Panthera pardus), wild dog (Cuon alpinus), wolf (Canis lupus), hyaena (Hyaena hyaena), caracal (Felus caracal) and other smaller cats. Sloth bear has his most favourite home in the rock escarpments and undisturbed vales. 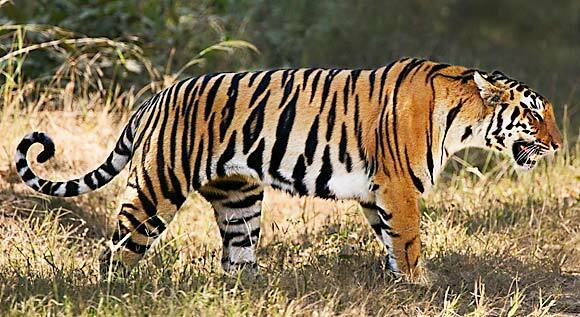 The wooded areas are dotted with sambar, the largest of Indian deers, chital and chowsingha. One can easily see nilgai and chinkara in most open areas in the grasslands, specially on the periphery. 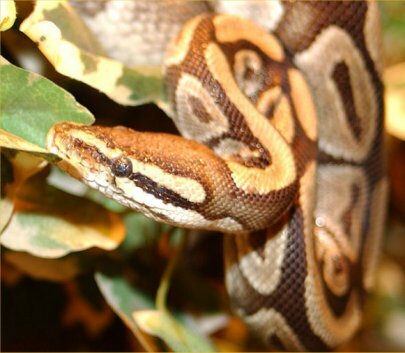 A Variety of snakes, including the python and other reptiles are found here. Dry and hot climate, in union with shallow Vindhyan soils has given rise to dry Teak and dry mixed forest. The dominating vegetation type is miscellaneous dry deciduous forest inter spread with grassland areas. Other major forest types are riverines, open grasslands, open woodlands with tall grasses and thorny woodlands. The characteristic floral species of this area include tree species such as Tectona grandis, Diospyros melanoxylon, Madhuca indica, Buchnania latifolia, Anogeissus latifolia, Anogeissus pendula, Lannea coromandelica, Bosswelia serrata etc. An hour long boat ride offered by the park authorities is a good option to catch a glimpse of water predators and other animals around the lake. Elephant safari is one of your best bets to spot a striped beast up close. A major attraction is the night safari at Gangau.